Starting a new business is an exciting venture and a constant learning experience. Undoubtedly, there will be lessons learned and mistakes made along the way. Still, there are rules every new business owner should follow, regardless of their industry. Read on to learn five important things to know when starting a business. This is first in the list of important things you need to know to start a business because it will be the foundation of your decisions and success. You know you will start a business, but your business plan will give you a specific outline of deadlines you need to hit, financial goals, and advertising strategies. Some new business owners think a business plan is only necessary for financial support from outside sources, but this isn’t the case. A business plan is an invaluable tool that helps you sort out the big and small details that, if overlooked, could be detrimental to your business. Your business is your passion. Analyzing that passion strategically will pay off financially and strengthen with your branding. While various forms of advertisements are effective, word of mouth will never lose its popularity or value. This is one of the most important things to know when starting a business because people trust the word of people they know personally. We all see up to 5,000 ads daily aimed at influencing our purchasing decisions. This constant exposure to advertisements means that businesses must be creative and show the human side of their brand. If you use traditional ads, compliment them with behind-the-scenes stories, user-generated content, or vlogs. You could also share customer testimonials to prove the positive impact your business has on customers and in your market. As a new business owner, you shouldn’t feel compelled to know it all from the start, but it is important to know the basics and to keep up with the ever-changing landscapes of business and technology. When you’re starting a business, you can’t live in the past. Tactics that worked in 2015 may not be effective today. The business world is fast-paced and marketing strategies are always changing to meet the desires of customers. Research your industry frequently to learn the latest trends works so your business won’t be stagnant or left behind. There are numerous reasons to attribute to the fact that 50% of small businesses fail after 5 years. One of those reasons is burnout for solopreneurs. But this burnout doesn’t always occur because there’s too much to do it in too little time. Burnout sometimes happens when new business owners enter a niche for the money or convenience without enjoying the work. One of the major benefits of owning a business is doing what you love while serving as a valuable resource for customers. Here’s another important thing to know when starting a business. Is the industry you’re entering personally fulfilling? Before starting your business, take the time to find out what you would love doing every day and dedicate yourself to making that business a reality through your business plan. There are many things that can make a business unrelatable, such as confusing messaging, inconsistent branding, or poor customer service. Your business will not be successful if people can’t relate to you. If your business becomes known for poor customer service, it’s unlikely that you will continue to profit. Avoid this by letting your business be a safe space for customers to express their concerns and issues without hassle or long delays. Of the most important things to know when starting a business is that having a virtual phone number can give you a competitive edge. A virtual phone number allows you to work from remote locations while retaining full communication with your associates and clientele. Remember: you and your team should be should be knowledgeable and patient to provide solutions that add value for customers. Also, recall that one of the most important things to know when starting a business is word of mouth marketing. Customers always appreciate quality service and are more likely to give personal referrals. This will help your small business to grow quickly. Scalable solutions are important for every business. Being a new business owner means your business won’t stay the same size as you implement strategic growth methods. As your business gets bigger, you won’t be able to handle everything without support. Everyone you hire will serve as a representative of your brand. Therefore, it’s imperative to establish a team with the same vision and work ethic. As we conclude the list of important things to know when starting a business, we recommend automating small, repetitive tasks and allowing trusted staff members to use their innate skill sets to contribute to the company’s success. Small businesses are known for being creative and finding organic approaches for expanding their company. Most times, those small companies became big once they harnessed the power of digital marketing and shifted their focus to the worldwide web to build a loyal customer base. The return on the investment of time and money into digital marketing is highly favorable when considering the reach and affordability of digital marketing services in competition for new clients. In the following article, we’ve listed four digital marketing avenues every small business should explore. You can substantially reduce the time you invest into these methods by teaming up with digital marketing experts. 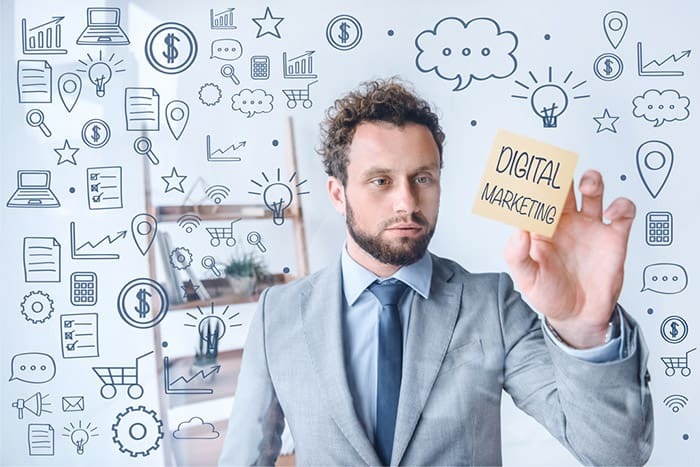 Not only are these types of digital marketing for your small business affordable, they are also scalable, which means everyone should be taking advantage of them! A website is the most critical aspect of digital marketing. Your website is how you share the most details about your business and products. A fully integrated website also serves as the source of your blog posts and should link to your email marketing campaigns. But your website needs to act as more than an information source. Many times, small businesses make the mistake of creating a website without optimizing it for consumers. The internet offers an endless source of information. It would be difficult (and almost impossible) to bring a high amount of traffic to your website if you relied solely on word of mouth. Another valuable type of digital marketing for your small business is search engine optimization (SEO). Search engine optimization is a strategy that ranks your company higher in search engine results based on your industry and specific keywords. When your company shows up on the first page of Google, you’re likely to get more leads and close more sales. Optimize your website for viewing based on current technology and consumer trends. Tablets, cell phones, and personal computers are the primary sources for web browsing. Personal computers are still a mainstay, but 63% of people are now visiting websites from their cellular devices. This means your website must be fully functional for mobile browsing because you could lose business if your website is only compatible with laptops and desktop computers. Social media is one of the most popular types of digital marketing for your small business, and research continues to prove that it is much more than a fad. Today, business marketers working to stand out in the digital space must take social media seriously and acknowledge the fact that most consumers are now online and using social media to research brands. Customers are also sharing personal experiences with businesses on social platforms. With a strong social media presence, you’re more likely to inspire new customers to reach out to you. Being active on social media also allows you to research your company name and see how consumers feel about your products and services. Build loyalty by directly sending offers and thank you’s to users mentioning your business. Likewise, you can generate more positive feedback by publicly responding to customers with problems or questions. This shows that you are willing and ready to help. Ebooks and guides are well-known for attracting quality leads, but webinars continue to move to the forefront. Webinars are valuable types of digital marketing for your small business because they allow viewers to learn valuable information quickly at no cost. Furthermore, webinars help you stand apart as a thought leader in your field. Furthermore, a webinar can place you above competitors because potential customers will appreciate that you were willing to provide them with value at no cost. You don’t have to share valuable information for a fee online. Just inviting newcomers to learn something new can inspire them to learn more about your business. Provide real value and you’re far more likely to gain email subscribers who look forward to updates from your company. Keep them engaged after the webinar with email newsletters, blog posts, and insider deals. Email marketing has picked up where traditional mail brochures left off and offers much more convenience. Email marketing is among the most effective types of digital marketing for small businesses. The average return on investment into email marketing is 122% and more than 20% of people check their emails more than five times each day. Combine email marketing with a webinar or email course series to keep readers intrigued and looking forward to the next email. Let emails serve as an outlet for readers to get to know you. Further engage them with personal stories and business-related lessons. These tactics will increase the likelihood of purchases when new products are announced. Not sure if you‘re ready to invest in digital marketing? We’ve got a solution: there are usually interns who are looking to learn by working for recommendations or as a trial for a long-term position. Another option would be taking the time to learn the fundamentals of digital marketing and try it without assistance. 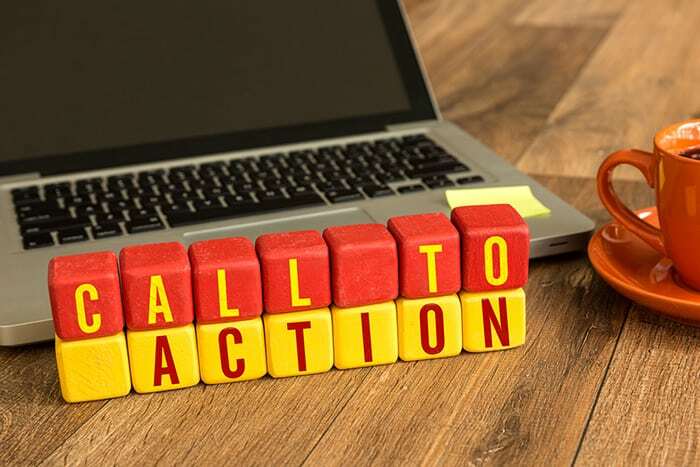 Whether your main advertising platform is the internet, television, or printed publications, a call to action (CTA) is necessary to inspire audiences beyond viewing your materials to becoming active participants who are willing to make a connection with your brand. These calls to action are well-known, but a CTA has to be much more to be impactful. Business owners can’t rely on CTA’s with a cut and dry approach because the internet now connects competing businesses on a global scale. Your business is unique and every element of your messaging must stand apart from your competitors. We should view the call to action as an art form instead of treating a call to action as a command or instruction. To help you along the way, we’ve compiled some of the most valuable tips to note as you strive to approach your call to action as an art form. Advertisements are everywhere, and many are ignored. The ads with call to actions that go viral and gain organic traction share common traits. The content is interesting and doesn’t rely on robotic language. Treating your call to action as an art form means it should resonate with viewers. 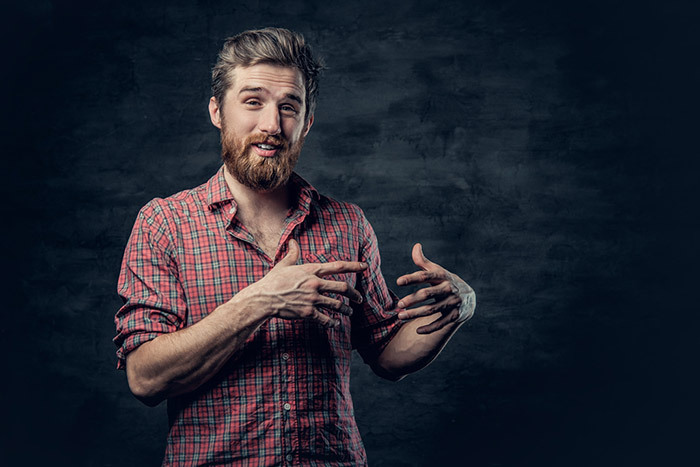 Strike an emotional chord by adding the human element of personality through your wording because consumers are more likely to take action when they can relate to a brand. For example, instead of saying “BUY NOW,” change the wording to “GIVE US A CALL. WE’RE ALWAYS HERE TO HELP.” No one wants to feel as if your primary purpose is to profit by selling them a product. Buyers want to know you have something valuable to offer. The way you use your words relays that message. Buyers must believe your business is worth the investment before they take action to support your company. The CTA should be part of a body of content that translates beautifully through words, imagery, or video. If your call to action is an art form created for your target customers, it can be effective on any advertising platform. Are you looking to sell a new product? Don’t just say how valuable your product is, show it. Review written content and scripts to find the strongest adjectives and replace them with full descriptions. When using television or coverage radio, let personality, design elements, and quality lead the way. Some of the most iconic artists lived a life of mystery and intrigue. But today’s artists and business owners must display their artistry through their social prowess. The art of business requires high-quality services and transparent business owners. One of the best ways for a business owner to show transparency is by being accessible. Potential customers shouldn’t have to work to find you or connect with you. Strategically using your call to action as an art form should always include convenient means of communication, such as your phone number and email address. Will you be prepared to quickly respond when someone takes action and contacts your business? Always make sure your hours of operation are clear for callers and respond to written inquiries and voicemails within 24 hours. If you’re working with a team, ensure that they are well-trained and have the necessary tools to assist customers. Viewing your call to action as an art form is the first step to connect with customers. Exceptional customer service is what will lead to sales and business expansion. This is so many small and large businesses use virtual phone numbers. Business owners can forward virtual phone numbers to mobile phones and create extensions for team members, allowing everyone to work remotely and in an organized fashion. The response rate is even faster through additional options such as transcribed voice to email service. When using your call to action as an art form, know that everyone who contacts won’t be in your local calling area. Consider a phone number that is not specific to one area code. Using a local phone number often results in fees and confuses long-distance customers, deterring new callers from contacting you. When famous artists releases new work, their fans can spot it before the name of the artist is announced. Such artists have a strong presence through their recognizable style. Your call to action must also have a style of its own, but that style must be in line with your branding. Consistent branding will keep your business relevant – even when your brand is not the star of the show. Being recognizable will naturally attract new clientele and maintain the interest of your loyal customer base when partnering with another company, attending events, or working with sponsors. Social media is has become an essential tool to bring attention to your business, but the landscape of the virtual social scene can change quickly. There are numerous social media platforms to choose from, but business owners must choose wisely. Spending time and company money on social media marketing requires planning and budgeting, but your efforts may prove futile if your chosen platform isn’t popular with consumers. This brings us to a question many business owners are asking. Is Twitter still relevant for your business in the year 2018? To answer this question, we’ll look at the numbers first. Twitter’s 2017 first quarter report would lead one to assume that Twitter was losing traction, but 2018’s numbers proved otherwise. In 2017, Twitter reported 116 million in losses and a 14% drop in stocks. By early 2018, Twitter boasted 336 million users with a 21% increase in revenue. With a growing user base and a steady flow of activity, Twitter is still a relevant social media platform for businesses. 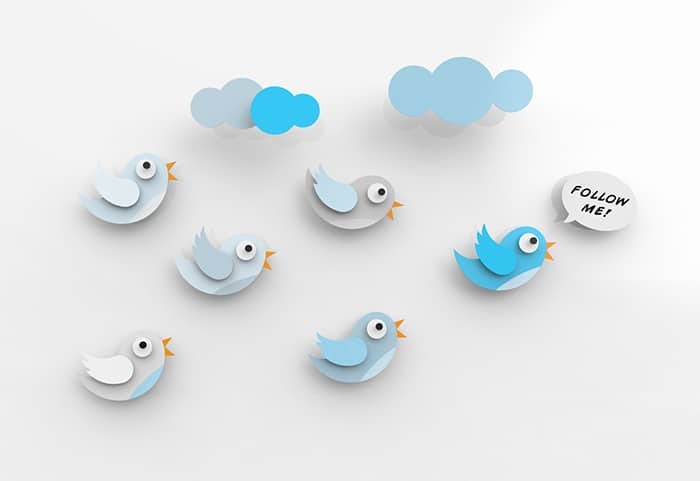 Here are more reasons to use Twitter for your business. The Twittersphere is now an inclusive platform for social media users looking to stay current on local and world news, socialize, and keep up with their favorite companies. So, how do you connect with such diverse audiences? The answer lies in your approach. As Twitter began to operate as an informational outlet instead of serving solely as a social media platform, businesses could use this as a competitive advantage. Twitter shouldn’t be used to grow a large following or beat the algorithm to be seen first. Instead, Twitter is a place to make genuine connections and convert potential fans to long-term customers. Twitter may not be the most popular social media platform, but it remains a powerful engagement tool for brands. Well-known businesses often use Twitter to reply directly to customer questions. Small companies also boost their online presence via Twitter by reaching out to anyone who mentions their company or product. A quick tip: Say thank you in a tweet and follow up with a direct message that offers a special deal to customers if you’re using the platform to grow your business. Business owners continue to treat Twitter as an outlet to show some personality and have fun with other users. Because Twitter uses the Graphics Interchange Format (GIF), many companies will use GIFs to tell jokes and add some lighthearted content instead of strictly advertising. Do you know what it is that your customers want and expect from your business? This can be a difficult question to answer, but Twitter can help you to gain valuable insight. Instagram and Facebook are the platforms where most people will see your latest updates and advertisements when you consider the popularity factor. But if you’re using Twitter effectively, your marketing efforts will still have favorable returns. Twitter users are a mix of your loyal fans and today’s modern consumer. Therefore, incorporating Twitter into your marketing research should help you extract non-biased information. Using Twitter research, your business will be able to further identify (and cater to) your target customer. Another tip: Running a campaign that gives deals specifically via Twitter is another effective marketing strategy to gain followers and keep customers engaged with your content. Search Twitter for your company name to see what users are saying about your services. Remember, not everyone uses the Twitter mention feature. Keep in mind, when someone doesn’t use the “@” symbol for a mention, you won’t receive a direct notification. If you find any negative feedback after searching your company name, don’t let it linger. Address issues publicly to show your concern and willingness to help. Responding to customer concerns lets everyone who is researching your company online know that your business is trustworthy and responsive. Think about this: initially on Twitter, there was a limit of 140 characters per tweet. Today, the character limit is 280 characters. Doubling the character limits make Twitter more ideal for brands who rely on in-depth storytelling to advertise online, while also offering a little more room for elaboration. Furthermore, Twitter users have the ability to add links, images, and video to tweets. These options allow for written content and visual aids to create compelling stories. Tell a great story through tweets and your business can organically attract more customers. Entrepreneurs know most companies are using Instagram and Snapchat to give their businesses a stronger online presence. While traditional business owners stick to telephone calls and their company website to connect with customers, modern entrepreneurs are combining the traditional means with the popularity of social media to be more accessible, provide a higher level of customer service, and to stay competitive in the digital space. When it comes to Twitter, the smaller number of users leaves some business owners wondering if the platform is worth the investment of time. Is Twitter still necessary for business? The answer is a resounding YES. Using Twitter for your business can be a way to advertise, share updates, and grow your business. You may be on Instagram, but are you using Instagram stories for your business? Most social media users remember when Instagram stories became an option on the platform. Upon its introduction, many were focused on the similarities between Instagram and Snapchat without realizing the full potential of this exciting new feature. Everyone loves Instagram Stories – and with good reason. Whether for your personal use or business, the visuals of these stories create memorable displays that are being viewed by 60% of Instagram users. Instagram Stories isn’t the latest feature, but it is one that every business should be taking advantage of as the app grows in popularity. Instagram is full of beneficial features that can help small businesses expand as they tell the story of their unique brand. Regardless of your profession or hobbies, Instagram has created communities that share similar interests. These interests are easily searchable by name, hashtags, and location. But let’s talk about Instagram Stories specifically. Is your business taking advantage of the power of visual storytelling using Stories? Instagram has made it easy to market your company, sell your products, and build relationships. Instagram stories takes your creative marketing to the next level through its features and appeal, because stories aren’t perceived as typical ads by consumers. Research shows that having an account on Instagram and using the Stories feature can be profitable. 400 million people are watching Instagram stories every day. People enjoy watching the stories because there’s no pressure to buy products or enter personal information. Still, 30% of Instagrammers have bought something after seeing it on Instagram. In fact, consumers are so willing to buy items after seeing a product on Instagram that developers now have a feature allowing shoppers to make purchases through the app. Instagram stories are effective because of the high number of users on the platform and the Instagram algorithm. Over 500 million people use Instagram every day, but the feed doesn’t show posts to users in chronological order. Instead, the Instagram algorithm shows posts that are relevant to each individual user based on interactions and interests. Social media influencers continuously work at understanding Instagram’s unique algorithm. For every post you share, it’s estimated that roughly 10% of your followers will see your posts in their feed. For some, a post may not show the same day it’s shared. With Instagram, you can use the Stories feature to announce a new post, encouraging more people to visit your business profile and see what you have to offer. The algorithm favors engagement, but Instagram stories can help your posts grab more attention, which will ultimately lead to more customers visiting your page. Instagram has found the right balance of fun and professionalism, inspiring a large number of personal and business accounts to use Stories, which are ideal for entrepreneurs. 80% of people who view Instagram stories keep watching because of the excitement of seeing the unexpected content show instantly in a visually compelling way. Share your brand hashtag and encourage others to use the same hashtag. Partner with another company and share the good news in an Instagram story. If you and your partner take this approach, the cross-promotion could result in more sales and followers for both parties. Don’t forget tagging so followers can access the company’s profile in one click. Create an FAQ story to quickly answer the questions most customers ask about your business. Go live! Live content is especially enticing because it’s genuine and viewers look forward to seeing what will happen next. Share behind the scenes stories. How are your products made? What’s your work environment like? Who are your team members? Customers appreciate these stories because it shows personality and makes your business more relatable. Based on the high number of Instagram accounts, the app is expected to reach a billion users in due time. Furthermore, 70% of Instagram users search for businesses on the app, which increases the likelihood of users looking for details about your brand on the app. For those who are new to Instagram, this may suggest that there are almost a billion marketing opportunities, but this isn’t due to just the algorithm’s reach. Using Instagram stories for visual storytelling will increase engagement, loyalty, and brand visibility. With so many people logging into Instagram daily, the platform has the potential to increase sales and connect you with new customers on a more personal level than other means of advertising. If you’re frequently releasing new products, Instagram stories is the perfect tool to keep your followers engaged. 4th Generation technology (4G) is what we’ve all become most familiar with as we use our cell phones to send text messages, download information, and search the web. 5G (5th Generation) technology will take 4G to a new level. The infrastructure of 5G is modeled around software, which limits the interruptions that tend to affect 4G connectivity, such as dead zones and wifi interruptions. This is good news for business owners who prefer mobility to a traditional office space. As the number of virtual businesses continues to increase, working on-the-go is becoming the new normal, which means an interruption in mobile connection can negatively impact companies and professional relationships. Technology excites us because it’s constantly evolving and introducing us to new concepts. Looking back over the past five years, technologies now exist that we would have never thought possible. These innovative systems are changing the way we work and live on a daily basis. 5G is one of those technologies that will make the unimaginable tangible and easily accessible. So, 5G is coming, what does that mean for you? Most of us are working with mobile technologies as we run businesses and hire team members within our company. We know what 5G can do for the general consumer, but 5G will also change the world of business. With 5G, workers can get more done. 5G will also serve as a competitive tool that increases productivity and opens the door for new employment and business opportunities. Almost everyone has a cell phone to make phone calls, handle work-related tasks, and also download apps, games, and music. As mobile technology continues to improve and connect more networks, our devices are already operating at a speed that may have seemed impossible in the past. If you download a movie or large files, how long does it take? For many people, the answer to this would be a few minutes or maybe even an hour. 5G technology is 10 times faster than 4G, meaning that data transfers in seconds instead of minutes. With 5G, large downloads could take about 5 seconds. Unlike 4G technology, 5G has been built around the concept of software instead of hardware. Therefore, 5G is less expensive to use and update. 5G technology pairs perfectly with virtual phone systems because virtual phone numbers are also based on software and online connectivity, instead of hardware that has to be replaced every time changes occur within the system or upgrades are needed. 5G is Coming. What does that mean for your customers? Consider the fact that we are all consumers living in a world where we are constantly introduced to more technology. These technologies are smart and the response times continue to get shorter. As a business owner, you can’t remain competitive if you don’t offer immediate solutions and customer service. If you are an entrepreneur using a virtual phone number to provide customer service, the amount of time it takes you or your team members to assist customers will have a direct impact on your number of sales and loyal customers. The amount of time modern consumers are willing to wait continues to shorten, but the instant transfer of information with 5G means information will be available at our fingertips almost instantly. 5G is Coming – What does that mean for your employees? You can expect customers to call your virtual phone number in need of assistance. To properly assist them, you will need to have their information and product guides readily available when needed. Today, pulling up information during a call means sifting through multiple files and online databases. With the introduction of 5G, software connections will be far more advanced. 5G will allow needed information to be shown instantaneously without the usual delays. 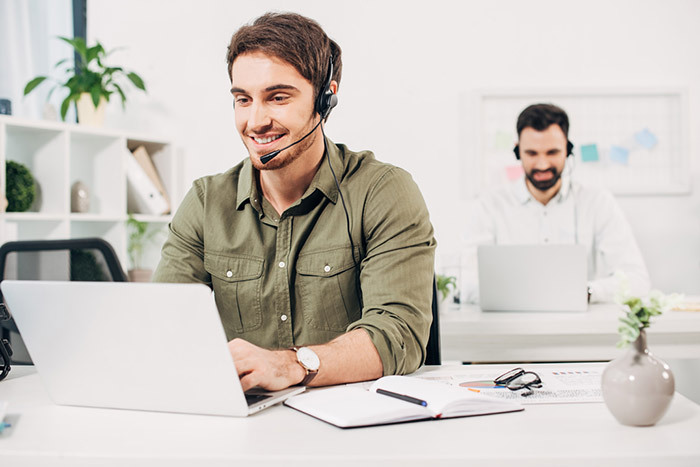 This upgrade will help customer service representatives better assist callers because they will be able to diagnose and work on the issue quickly. Working quickly brings more business because agents can handle more calls. Simultaneously, customers will feel that you are more reliable. With such a powerful increase in speed and reliability, your company can accommodate more sales and incoming calls. As agents work faster, there will also be more time for them to take breaks and handle other important tasks. 5G is Coming – What does that mean for your metrics? Sharing current information with everyone at the call center is one of the best ways to analyze strategies and create new approaches. One of the main details to track is the reason why callers are exiting phone calls. Were they on hold too long? Did they find the answers they needed? While some companies receive customer reports and other key metrics on a weekly basis, 5G will allow companies to generate and update reports in real time. This high level of transparency will naturally motivate everyone to do their best. With 5G, you can expect higher levels of productivity and healthy competition as a result. If you’re ready to go global with your business, an ITFS (International Toll Free Service) number may become necessary to expand your reach and attract customers beyond your local market. The world of business is fiercely competitive. Whether you’re a startup or an established company, standing out is critical to your success. To stand apart in today’s global economy, focusing on brand recognition, marketing, and customer outreach is essential. An ITFS number keeps businesses of all sizes competitive because an ITFS number is scalable and keeps your company accessible. What is an ITFS number used for? Before the introduction of technologies that advanced communication digitally and virtually, business owners could not operate far beyond their physical location. To reach customers beyond their local region, company owners had to relocate, cover the expenses of travel, and adjust to a new city. With an ITFS number, a business phone number can be based in any city globally, and calls can reach you in any country. Customers will appreciate the convenience of reaching you using a local number, and this level of familiarity will build trust in your brand. When a company is obviously at a distance, consumers tend to question the motives and responsiveness of the enterprise. An ITFS number remedies this and will keep callers focused on what your business has to offer instead of the company location. An ITFS number has a variety of purposes. Here are the ways an ITFS number can help your business. Sales are necessary for businesses to stay afloat. Some businesses may sell directly to consumers while others may focus on selling to investors. To foster profitable relationships, your business must be connected to a phone number that is free of charge and doesn’t use unfamiliar area codes or country codes. When potential customers and business partners know that you are easy to reach, they’re more likely to call, which increases your potential to increase sales and build loyalty. Along with call forwarding, an ITFS number can function as a tool that helps to analyze and grow your business. Every company has set goals, but in order to reach those goals, business owners must know their current metrics. ITFS numbers can automatically store data that shows business owners the results of their marketing efforts, as well as the behavior of callers. Using this information allows businesses to make the necessary changes that will move the company forward. The public perception of your brand should always be considered. If you’re a startup company and seem amateur, customers will be reluctant to purchase your goods or services. A variety of factors can make a company seem unprofessional, and the contact number you share is one of the top things that can impact your public appeal. Sharing personal phone numbers is usually a red flag that your business is not well-established. On the other hand, sharing an ITFS number is likely to attract more business because these numbers will make your business seem larger and more professional. This is because some of the most popular brands in the world use an ITFS number. With toll free numbers, your brand is naturally associated with an organization that values customer service and has the resources to offer a high-quality product. It’s important to note that while there are a variety of toll free prefixes available, 800 is the most popular amongst callers. All entrepreneurs must be mindful of their budgets. The return on the initial investment should be favorable for any business tools and applications, and an ITFS is always worth the investment. ITFS numbers are affordable and there are no additional charges for external hardware because the numbers operate virtually. Service providers also offer ITFS numbers at affordable rates without any additional fees or contractual obligations. Business owners aren’t the only ones who save when using an ITFS number. Callers also avoid hidden fees and costs when dialing an ITFS number, making them more comfortable with calling your business and carrying on a conversation, which could ultimately convert to sales. So, exactly what is an ITFS number? While an ITFS number is similar to a domestic toll free phone number, there are differences that must be recognized before choosing this type of number for your business. With an ITFS number, you can connect multiple phones to your company and market your business internationally. Yet, mobile calls and conference calls may not always be supported. ITFS numbers are especially powerful for businesses that are marketing online and hope to attract international customers. For example, if there are 5 countries that you would like to present your business to, you could use 5 ITFS numbers that connect to your company. Because IFTS numbers also have the ability to track your business analytics, you can review the strategies that work best in each country and adjust your marketing approaches accordingly until desired results are achieved. A toll free number is a number that allows business professionals in companies of all sizes to connect with customers. These numbers are virtual, meaning that it doesn’t require additional hardware to function or expensive packages for set up. Toll free calls are also free for the incoming caller. Before purchasing toll free numbers, the first question business owners often ask is: Why does my business need a toll free number? The short answer is your business needs a toll free number because these numbers are critical for appealing to customers and increasing sales. Having a toll free number indicates to customers that you are professional and value customer service, and you look forward to being of assistance because you’ve made your business easy to reach. Furthermore, toll free numbers can be made even more memorable than a traditional phone if paired with a vanity line. Want more info on why your business needs a toll free number? Here are some additional facts that explain the importance of toll free numbers for businesses. Why does my business need a toll free number if I don’t have a large company? When you dial a toll free phone number to connect with a business, what do you envision? Typically, a large company filled with professionals. Even if this isn’t the case, your professionalism will outweigh the fact that you’re a startup business. Your customers won’t consider that you may be working from home, which is a good thing because they will be more willing to learn about your services and give you a chance to prove that your business services are worth the investment. Why does my business need a toll free number if I can use my cell phone instead? Before doing business with your company, most customers will question if your company is trustworthy and an ethical business, especially if they’ve had bad experiences with other companies in the past. A toll free number is just one little facet that adds to your credibility. Additionally, there are multiple things customers will look for to determine your credibility, including your website, online ratings, and what’s being said about your business on social media. It’s highly likely that a potential customer will be more inclined to buy from you if you have favorable online results. Yet, positive reviews may not be enough if your personal cell phone number or a long-distance number is provided as your business contact information. Sharing your personal phone number is considered unprofessional – not to mention that it can put your personal information at risk. Furthermore, most customers will be discouraged from paying to make a phone call to a business, so a toll free number just makes sense in all of these scenarios. If I’m relocating, why does my business need a toll free number? Callers prefer a business rooted in stability. A toll free number gives you the freedom to relocate at any given time without alerting your customers. If you’re traveling, forward your toll free number to your cell phone or destination location. The call forwarding feature maintains a level of consistency, which keeps callers from focusing on your personal endeavors and on your business services instead. If marketing is my main focus, why does my business need a toll free number? Business owners using toll free numbers often recommend them because they help customers meet their business goals. When you are marketing your business, it’s likely that you will be using multiple advertising forms including the internet, print publications, and local directories. Each avenue of marketing is likely to attract a different type of customer. Some marketing outlets could bring you more business than others, while some may not be worth the investment. The only way to know the best marketing strategies for your company is by tracking each campaign. Tracking various marketing techniques can be done easily with a toll free number by assigning multiple toll free numbers to each marketing campaign. The phone number that receives the most calls will let you know the advertisements that are most effective. Why does my business need a toll free number to be more competitive? The costs of relocating are expensive and require a large investment of time. Toll free numbers eliminate the need to physically relocate to conduct business in certain regions. Some business owners may purchase only one toll free number, but purchasing multiple toll free numbers is recommended. Testing various numbers allows companies to find the messaging that best resonates with clients – especially when connecting toll free numbers with a vanity phone number. Remember to research your vanity keywords before purchasing them. Your first choice may be catchy, but a similar idea may already be in use by a competitor. This can be confusing to customers and decrease your sales if new callers reach out to another company by mistake. Review other numbers that are already in use. Then, find unique keyword phrases that will inspire consumers to call your business. Note: Know that your toll free number will never be passed on to another business. Once you buy a toll free phone number, it will be yours exclusively, so there’s no need to worry about your business calls being redirected to another company in the future. Improving call center productivity will require knowing your employees and customers on a deeper level. You may have customer service employees on payroll, but are they well-trained? Maybe they are, but their experience may be in a field completely unrelated to your business. At the same time, some team members might want additional training and input, but may be afraid to ask directly. Whatever the case may be, business owners can use call recording to break the ice with employees while helping them to better assist customers. Caller behavior can also be complex, but it’s equally important to understand caller preferences. Consider these four additional benefits as you focus on maximizing your productivity and achieving set goals at your call center. Make call recording part of the training process and review calls with employees on an individual basis. As you discuss methods of improvement, acknowledge their strengths and contributions. This will inspire confidence and paint a clearer picture of how to communicate with customers. There’s another benefit that’s often forgotten when you improve your call center productivity with call recording. As employees strive to be better, knowing that their calls are being recorded encourages staff to give it their all and do a commendable job. Micromanagement tends to have a negative impact on employees, but when call recording is part of the supervisory process, it eliminates the tension that can build when managers are directly questioning and overseeing employees. How do customers respond when asked specific questions? What is their reason for choosing specific products more frequently than others? These are the types of questions to consider as you perfect your business strategy because you’ll want to ensure that you’re attracting your target callers and properly connecting with them over the phone. If you want to improve call center productivity with call recording, use the recordings to compile data that will answer a lot of the questions that will help you to set future sales goals and craft more efficient approaches when speaking on the phone. You can improve your call center productivity with call recording because the recordings can be used to create customized greetings and voice menus that give callers the answers they need. There are frequently asked questions at every call center. Knowing what those questions are in advance will increase productivity by saving time. Use the playback from recorded calls to find the most frequently asked questions. Then, find the best way to answer those questions automatically. Responses to frequently asked questions can be posted as information on your website and answered in customized messages that customers will hear while on hold. However, these aren’t the only options. Another approach would be to have an interactive voice menu that allows callers to select a number to hear the answers to frequently asked question such as operating hours and extension information to reach specific departments. Know that as you work to improve your call center productivity with call recording, setting up an automated system isn’t complicated when using virtual phone numbers. Much of the process can be self-guided. Your virtual phone number provider can also walk you through the setup process from start to finish if you need assistance, or the process can be completed for you upon request. While some business owners believe that pre-recorded menus are too impersonal, the contrary is often true. Automated options and responses are valued by customers because many callers don’t want to wait to connect with someone just to ask a basic question. One of the biggest things call center supervisors must recognize when analyzing call center productivity is how long it takes before the call ends favorably. This information is critical because it will help employees who may be struggling to build relationships with callers. When you improve your call center productivity with call recording, it removes much of the guesswork involved with selling techniques and interacting with customers. As most call center professionals know, working at a call center does not mean simply taking phone calls. There are other strategies that employees should be implementing to ensure that their time is utilized wisely during their shift. Decreasing the amount of time it takes to end a phone call with positive results gives employees the time they need to handle other tasks. Using virtual phone numbers to operate and grow your business will provide numerous advantages for internal business operations and callers. Furthermore, you can vastly improve your call center productivity with call recording. Managing or working at a call center isn’t an easy task, but it doesn’t have to be difficult if you use the right tools. Knowing the right ways to improve call center productivity while having a well-organized business structure can make the job easier for managers and employees. Call centers operate for a variety of reasons, but their common focus is attracting new callers and maintaining customer loyalty. By increasing productivity, callers will have a more favorable experience when dialing into your caller center without a long wait or confusing process. At the end of the 19th century, during the onset of the Industrial Revolution, people were just beginning to understand the complexity of financial capital and how it grows. Business leaders gradually began to realize that when managed properly, capital can accelerate a company’s growth and give them a competitive edge. Behavior capital: This involves the collection, collation, and analysis of information to yield valuable insights about a business and its systems. Sources of data are wide ranging. For example, customer surveys, The Internet of Things, and customers’ real-time behavior. 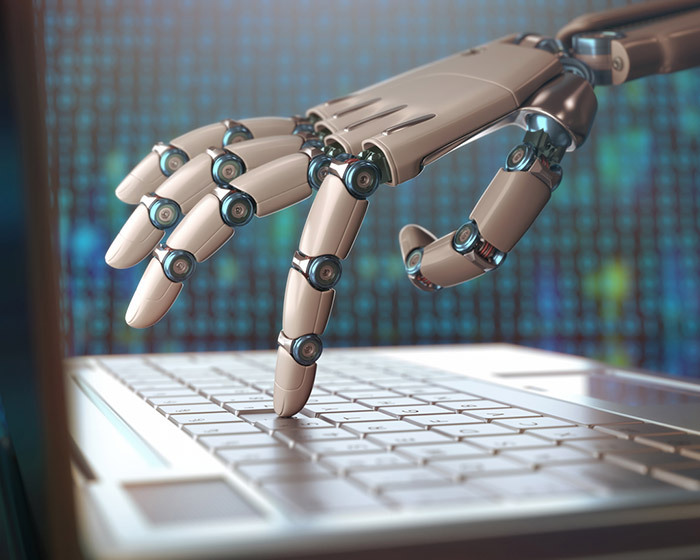 This information can be used to generate digital models of activity to show how business systems, people, and machines have behaved in the past and to predict how they will behave in the future. This data can then be used to influence that behavior. It can also be used to reduce risk and errors. Cognitive capital: This involves the automation of cognitive processes. Over time, most businesses establish a great deal of practical knowledge and information. Thanks to cutting-edge technology, that knowledge can be transferred to software or AI systems which can use it on a vast scale. It allows the business to expand its services and responsibilities and it adds great value to the company. can then be applied to the real-world company. Network capital: A company is a central hub which connects to customers, workers, advertisers, and media. With the emergence of the Internet, the value of network capital increased significantly. The main reason for this is the fact that networking via the Internet takes different forms of communication and has a much greater reach than ordinary broadcast networks. Internet networking is also a much more interconnected process. Here are some ways in which you can transform your company into a bionic business. Shift your business model: Replace your supply chain business strategy with one which is based on providing your customers with products and services they demand as efficiently as possible. A customer-driven business is one which focuses mainly on the customers. For it to work, you have to gather as much information as you can on your customers and develop products and services based on that data. For example, how can you address your customers’ needs, how can you make them happy, how can you exceed their expectations? The mantra of this type of business is that it can only thrive if the customers are happy. Therefore, you have to be committed to combining high-quality goods with excellent customer service. Shift your approach: Replace your operational approach to information with a fluid system in which knowledge and data can be shared and collaborated on. Many businesses are far too rigid. This means that they are not agile or adaptive enough to make the most of current innovations. On the other hand, businesses which are more fluid can share knowledge within the business system and use innovations to bring positive changes to the company. Shift your position: Replace your competitive position based on a level environment of competitors to a tiered system in which you can dominate the field. Making your company a winner-takes-all business means that you become a top player and take the majority of the share or rewards in your area of business relative to your competitors. Once you understand the basics of a bionic of business, you can begin to implement them into your company, giving you a significant edge over your competitors. Becoming bionic includes adopting new processes, making technological changes, and it creates great new opportunities. Your business will develop better strategies, model customer individual behavior, change your innovation cycle, improve your decision-making processes, and attract more customers. As a bionic company, you will know your individual customers so well that you will be able to tailor your products and services to each one using the latest software and AI. This will encourage your customers to keep returning to you and swiftly pass by your competitors.